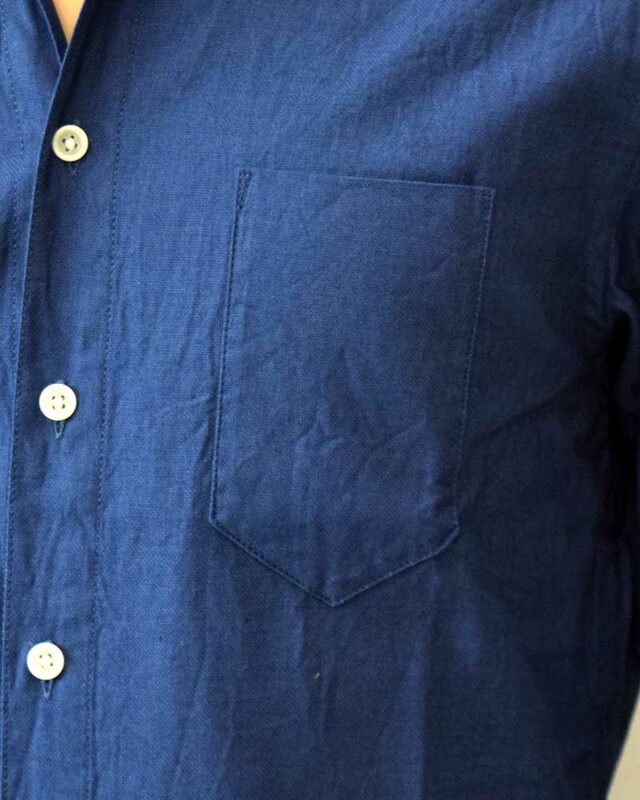 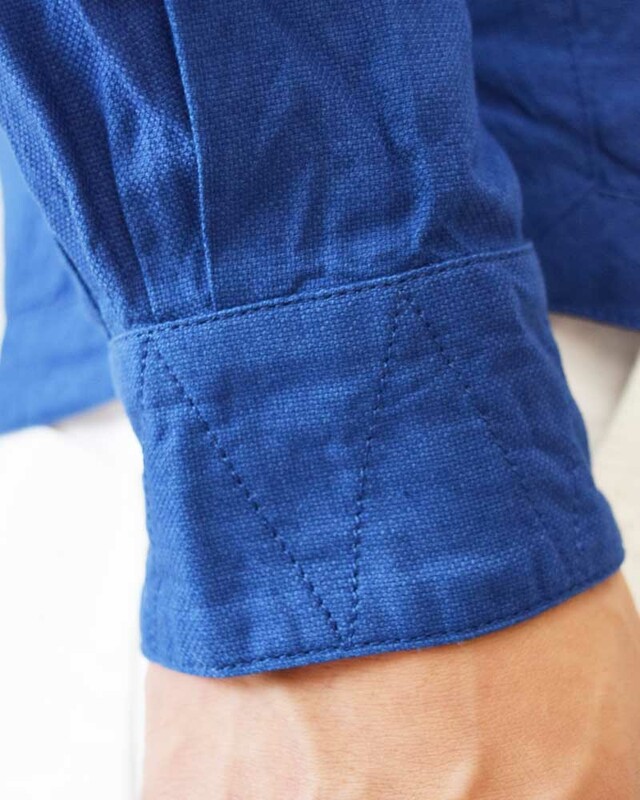 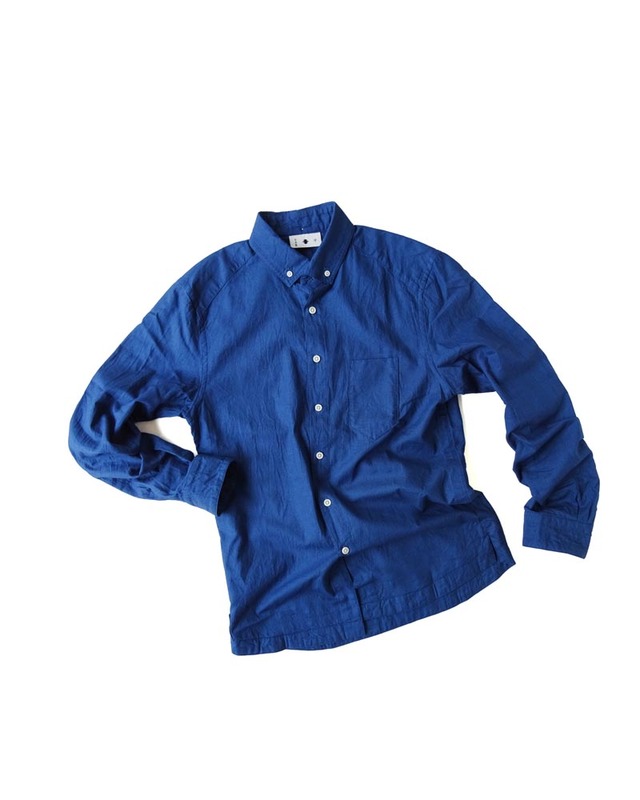 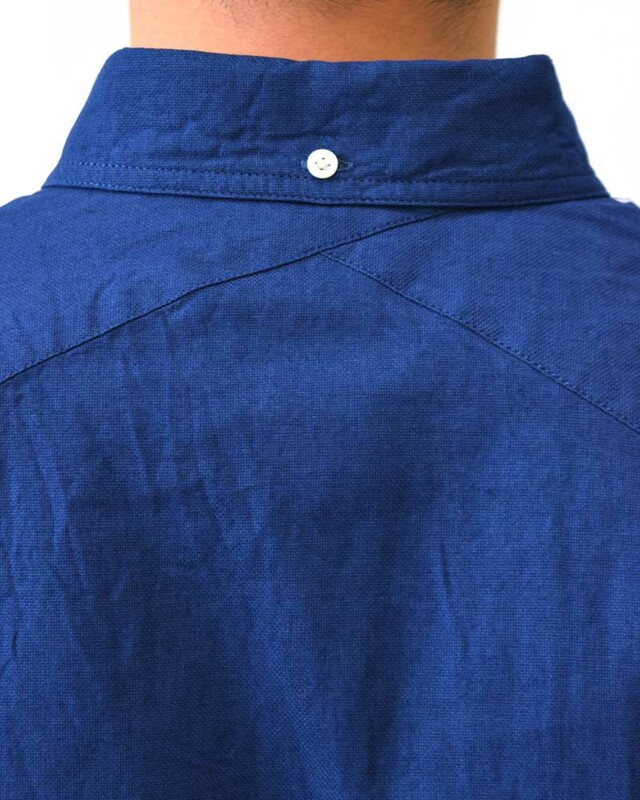 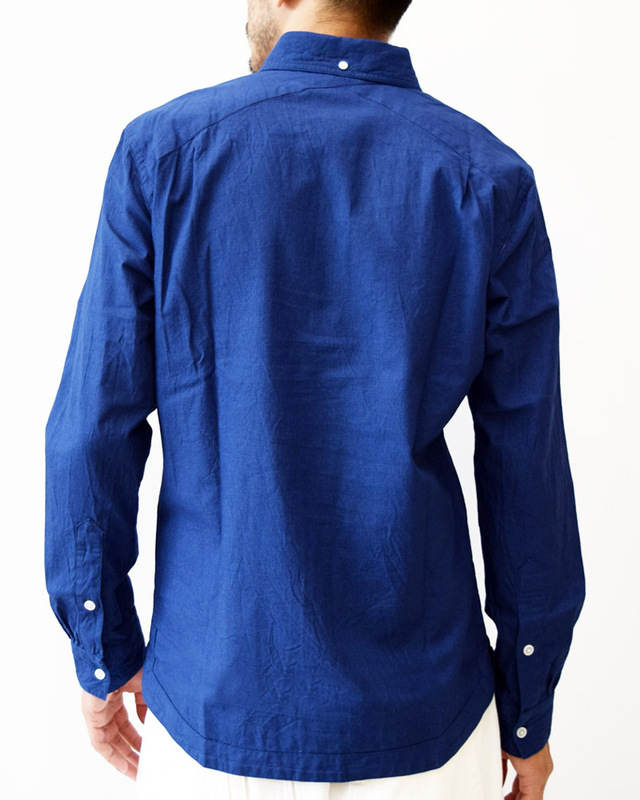 Long-sleeve shirt with original button-down collar made of fine royal oxford cotton. 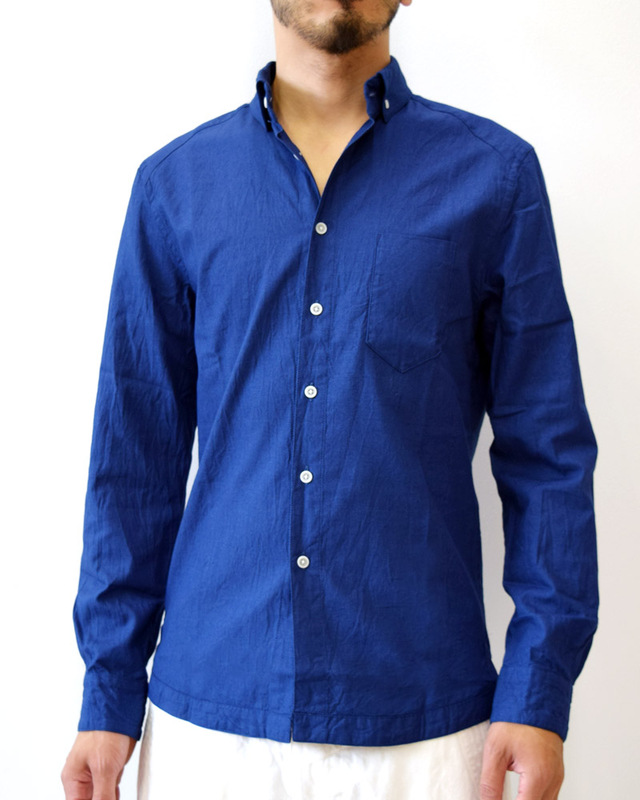 The material featured soft and airy yet moderately crisp with silky surface is making relaxing fit and luxurious comfort. 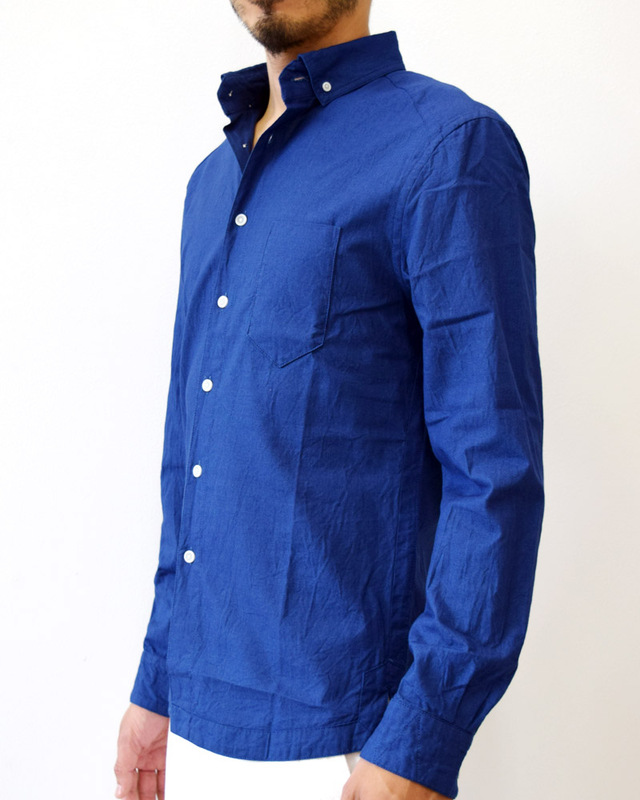 Designs of Yoshiyuki’s signature shirt series “Jinbaori Shirt” are inspired by old Samurai’s jinbaori which is a surcoat worn over a full suit of Samurai armor. 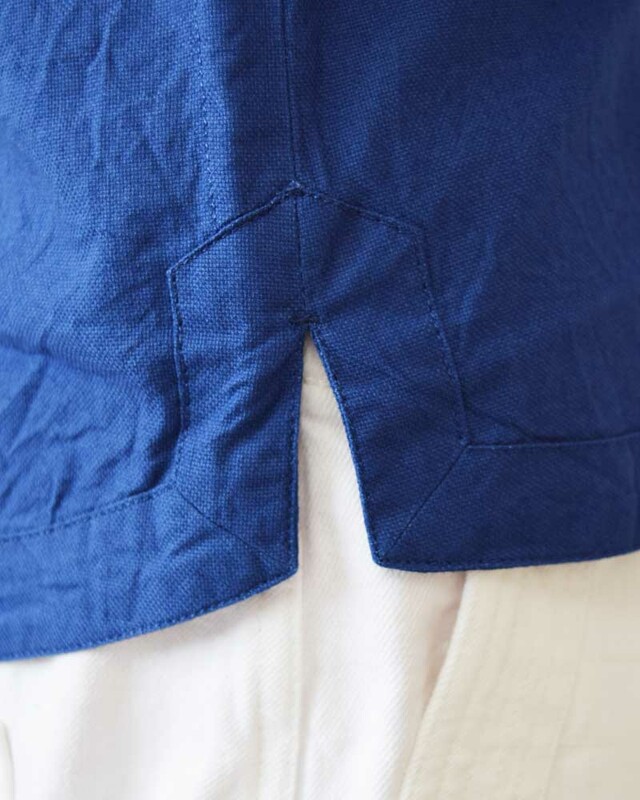 They often loved to adopt Western materials and design elements to look unconventional and exotic. 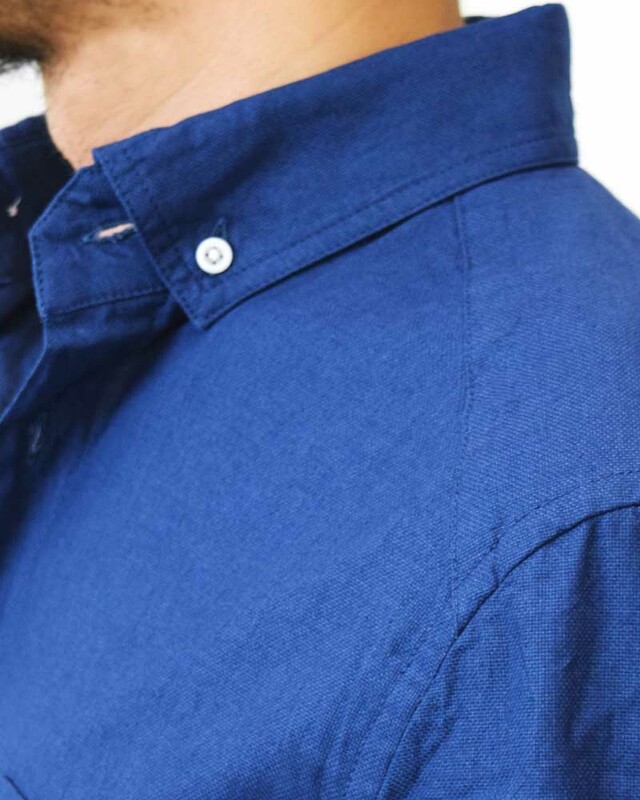 Inheriting such spirit of strong curiosity for fusing the Western chic to the Japanese traditional aesthetics to create something new but authentic, these shirts are decently produced by the experienced Japanese needle workers.